As a facility owner, have you ever thought about renovating your current location? Perhaps to make more space for more members, more programs, or to better utilize the space you have. Or maybe you are on the fence about opening a second location? If you have ever had these goals, plans, thoughts, or dreams – this blog series is just for you! We have reached out to our Master Coaches who each have experienced success in opening their own facilities, expanding to additional locations, and/or renovating their spaces. This week, we talked to Power Systems Master Coach & Owner of Camp Rhino, Julie Johnston. Since 2010, she’s grown her Camp Rhino outdoor boot camp to TWO locations in Las Vegas, NV. We asked her some questions about her experience and if she had any words of wisdom to share. Power Systems: How did you come to the decision to relocate your original Camp Rhino HQ location? Julie Johnston: We had some challenges with our original Camp Rhino HQ location. We were in a warehouse space that zero visibility from the street, limited parking, and too few bathrooms. When our lease at the warehouse expired in 2015, we opted to relocate to a location that would better suit our team and our members. We relocated to a space with more visibility in a retail location. The rent was twice as expensive, and it was a huge risk for us, but it completely paid off within 3 months. 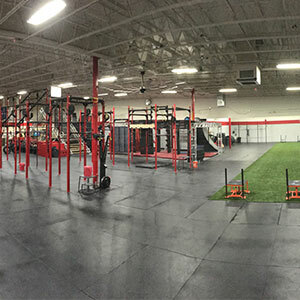 At the new Camp Rhino HQ, we were able to dedicate more space for classes, add a turf area, and a multi-purpose space that we use to host personal training sessions and seminars/workshops for our members and staff. So far, the additional space has been more than covered by the increase in personal training revenue. 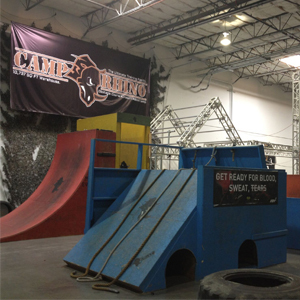 PS: When did you know it was time to expand and open a second Camp Rhino location? I decided to convert all my part-time staff to full-time. I wanted my absolute best trainers to have a full 8 hours of work per day. There wasn’t enough room at our first location for all of the staff to have full-time jobs. Secondly, many of our members had been traveling 40 minutes from the other side of town to attend Camp Rhino. 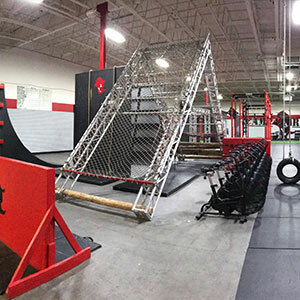 It made sense to add a second location that was more convenient to a majority of the members and that was the start of Camp Rhino – Northwest. I sent two of my top, seasoned trainers to start the second location – both of which have been with me for 10 years. PS: How did you approach the process of opening the 2nd location differently than when you opened your first location? JJ: I approached Camp Rhino Northwest completely different than Camp Rhino HQ. Instead of just ‘winging it’ and thinking I could make it work, we planned everything out as a team. Staffing Northwest with the best was priority #1. Next, we had to make sure we found a place that met all our needs – a location was easily accessible with great parking. We also negotiated four beautiful, individual bathrooms and showers so no one ever has to wait to go to the bathroom before a workout! Financially, I took out a loan for the second location instead of trying to build it slowly with the profits like I did with HQ. New, beautiful equipment is a must for a new location. I had a spreadsheet with the exact number of members we needed each month in order to break even at month 12 when the capital loan would run out. For advertising, instead of using Groupon or paid online advertising, I highlighted our 6 Week Challenge on the outside of the building next to our logo (visible from a popular road next to the freeway) and sent out 20,000 postcards to everyone in a mile radius of the gym with our gym schedule on it. I sent out an email to everyone who has ever been in one of our classes in Las Vegas announcing our Grand Opening. I have not done any paid online advertising for either location in 4 years, but rather focus on building relationships in the community. I do plan on launching a social media campaign soon to advertise our new Nutrition-Only 6 Week Challenge and Diabetes 6 Week Challenge. PS: What are some tips you can share with someone planning a studio/gym renovation or expansion? JJ: First and foremost, focus on your team. You can have a huge market with little competition and an amazing marketing plan, but if your team isn’t happy, customers are not going to stay. Make sure your staff is doing what they love to do and help them bond together by reminding them that they are helping save the World through nutrition and exercise. Do this BEFORE expanding with a renovation or second location. Make sure that your best trainers are teaching the most classes and have a key role in the expansion. Secondly, ask yourself why you are expanding. Look at the numbers and make sure you are not just growing your revenue without growing your potential for a net profit. I expanded to a second location because I knew I would lose some of my team if I didn’t. And I think finding and growing a good team is the hardest part of owning a business. I believe the profit will eventually come with the right team. And finally, make sure your systems and processes are dialed in and written down. Every time a staff member has a question for you, write it in your ‘Best Practices’ book and make sure there is a system in place for that issue. Systems and processes should be subject to change and improve often, but if they are not written down, team members cannot be held responsible for knowing those systems and processes. Your first location should be able to run without you before you start your second location.